This year’s OLED line-up from LG builds on last year’s foundation with new B8 to W8 OLED ranges. Underneath there is a powerful new brain in the form of the Alpha 9 processor that supports High Frame Rate. The top-of-the-line LCD models will incorporate full array local dimming. The company will also continue to tout Dolby Vision and Atmos. 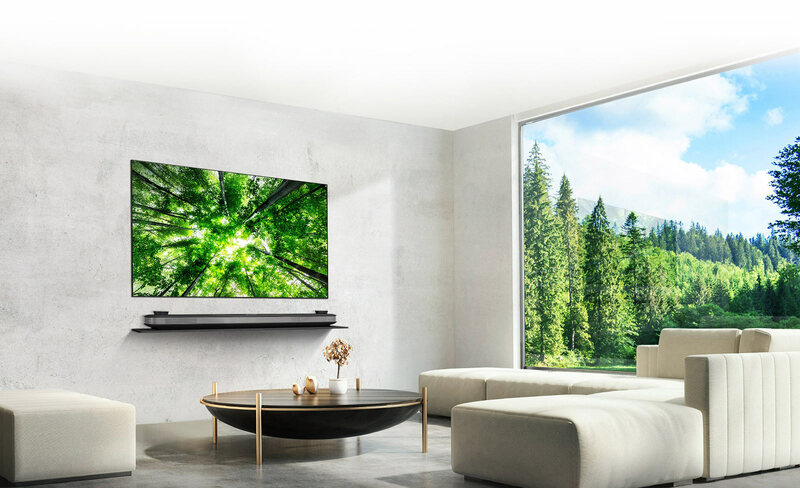 FlatpanelsHD brings you a full overview of LG’s 2018 TV line-up. 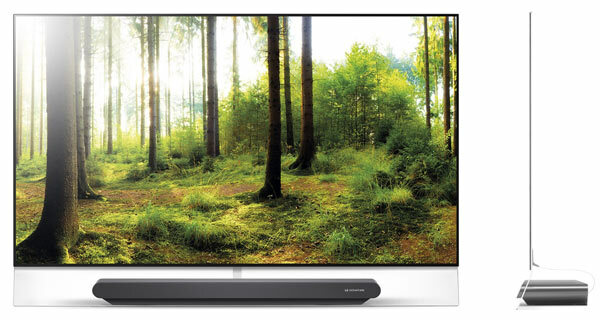 From an innovation point of view, LG is arguably leading the TV industry these years. While it varies from market to market, we have seen data showing that LG in some markets has overtaken ”big brother” Samsung in terms of revenue from TVs sold (but not yet units). If you look only at the high-end segment, LG is now far ahead of its South Korean archrival. That is big change from just 3-4 years ago and it can all be explained in one word; OLED. 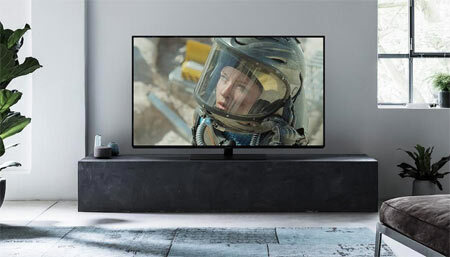 The display technology based on organic light emitting diodes has made conventional LCD TVs look old hat, despite attempts to drum up interest with creative marketing such as ”QLED” or ”ULED” – ploys that buyers have largely rejected. And while OLED TVs will remain high-end this year, prices will drop markedly to make them more approachable. So what is new this year? Well, the OLED range will follow the same pattern with B8, C8, E8, G8, and W8 OLED models. The panels are more or less unchanged, or as LG prefers to put it; the ”technical specifications” are unchanged, which means that resolution, color gamut, and peak brightness remain the same. However, there is one change. LG Display has made a modification to the pixel structure to further reduce the risk of retention / burn-in. While this does not seem to be a major issue out in the real world, it is good to see LG take a proactive role in preventing it as OLED technology is being adopted in an increasing number of devices. Some of the biggest changes are under the hood. LG has developed a new video processor that it has dubbed the ‘Alpha 9’ that will power the C8, E8, G8, and W8 OLED models. The B8 OLED as well as the top-of-the-line LCD models will use a scaled-down ’Alpha 7’ processor. So what is the big deal here? Alpha 9 can do a number of things in terms of video processing. Some processes are meant to improve poor sources, while others are means to improve motion in a number of ways. We have seen it in action and while we generally prefer to turn all of these enhancement circuits off to make sure that the TV reproduces the most accurate pictures, the Alpha 9 does a good job in many areas. In one demo, LG pitted it against Sony’s acclaimed X1 Extreme to demonstrate that LG TVs now have better motion interpolation and motion detail clarity. We will examine all of these claims as soon as we receive a sample for testing. We are, however, more excited about other aspects of the new processor, specifically that now supports High Frame Rate or HFR video, meaning video in up to 120 frames per second. For certain types of content (i.e. sports) HFR can improve on motion clarity to such as degree that it is hard to understand how we have ever accepted anything less. The bad news is that HFR is supported only via streaming and USB. 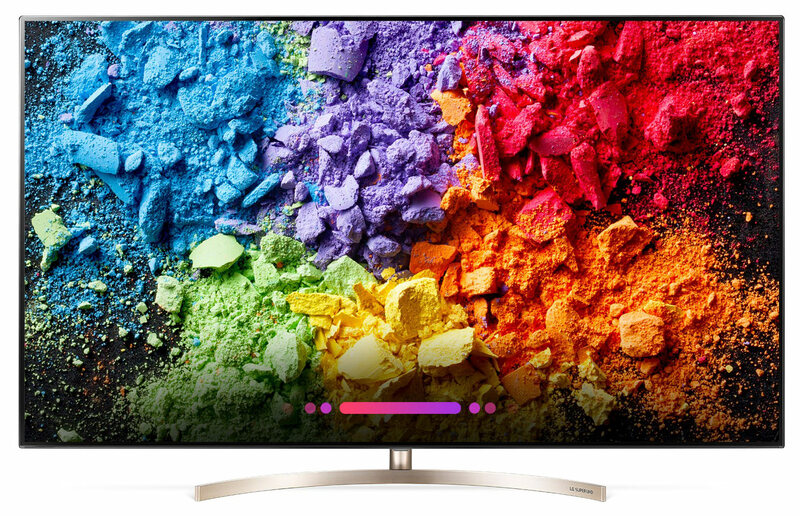 We had a slim hope that LG had planned some kind of HDMI 2.1 firmware update – which is required to do 4K HFR via HDMI –but the company is adamant that HDMI 2.1 will not show up in its TVs until 2019. Another new picture related feature is ’Black Frame Insertion’, which you may or may not be familiar with. In essence, it does exactly what the name implies. It inserts black frames in order to improve motion as these frames constantly reset our eye, which will make motion appear sharper. However, it will also reduce brightness and some viewers perceive it as flicker. Again, this is something that we will have to examine during our review. The less powerful Alpha 7 processor in the B8 OLED will also support many of these things but it has less advanced picture enhancement features and it cannot do HFR + 4K + HDR at the same time like the Alpha 9 can (integrated in C8 OLED and up). 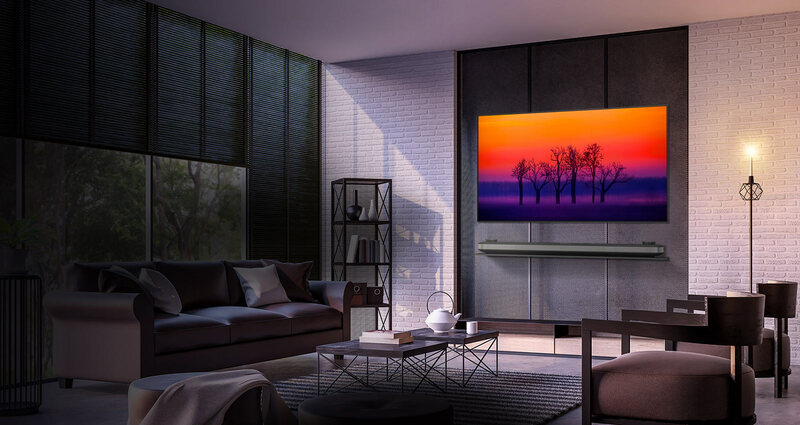 C8 is in many ways shaping up to be one of the most interesting OLED TVs in LG’s 2018 line-up as it will also for the first time be available in a 77-inch size that will be sold for less than half compared to last year’s 77-inch OLED TVs. It is still expensive but not completely unrealistic as in previous years. E8 will have a new design, whereas B8 and C8 will look largely identical to last year’s models. W8 is identical from a design standpoint (including the external soundbar). 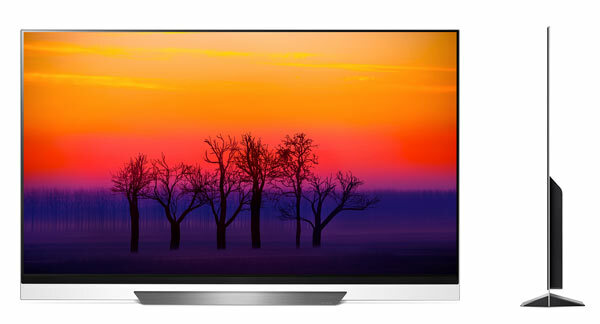 All of the 2018 OLED TVs will feature 4K resolution and support for four HDR formats: HDR10, HLG, Dolby Vision, and Advanced HDR by Technicolor. 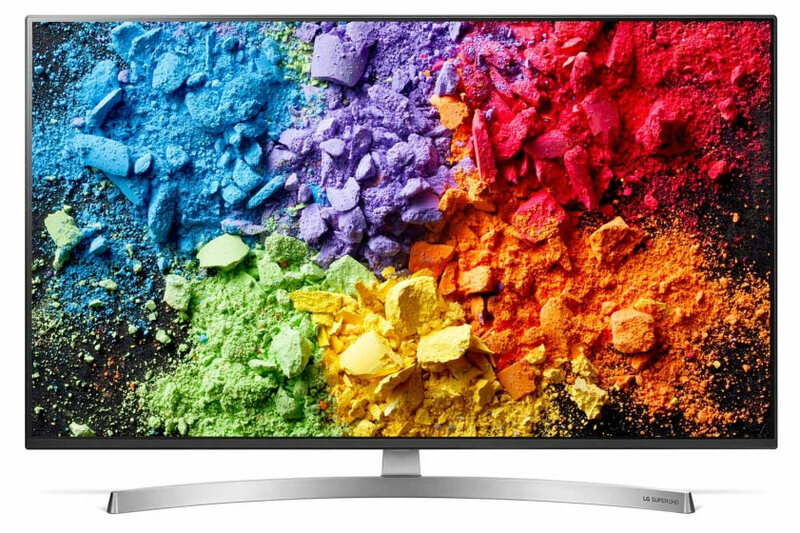 The TVs will also have a Technicolor color mode built-in, created by Technicolor’s team of colorists to match the reference display in the editing studio, meaning very accurate colors. We asked LG about HDR10+ but the company has no plans to support the HDR format that the archrival has pioneered. LG makes the point that dynamic metadata in HDR10+ is created by an automatic algorithm whereas dynamic metadata for Dolby Vision is part of the editing process. That is why LG believes it does not need HDR10+ as it can augment the format’s dynamic metadata via video processing. LG calls this feature “HDR10 Pro” and it takes a similar approach with “HLG Pro”. These are not new HDR formats but just LG’s way of enhancing video content in the HDR10 and HLG formats. All of the OLED TVs will support Dolby Atmos but only the W8 has capable speakers. Dolby argues that Atmos can lift even the stereo experience due to the object-based nature of Atmos (as opposed to channel-based format of previous audio formats) but you obviously need decent – and several – speakers to truly enjoy Dolby Atmos at home. 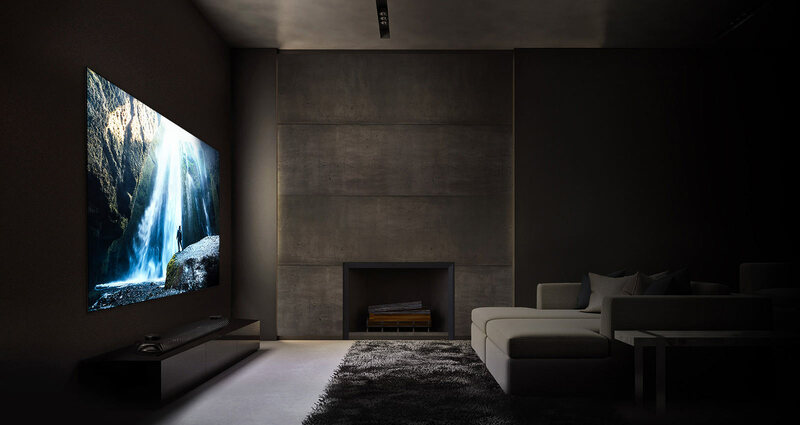 In 2018, the Korean company will reintroduce full array local dimming in its top-of-the-line LCD TVs. LG’s LCD TVs are often ignored by consumers seeking great picture quality due to the IPS LCD panels’ inferior contrast but full array local dimming should improve that to some degree. We’ll see. LG is also eager to tout the AI – Artificial Intelligence – angle, even going as far as to call them “AI TVs”. It mostly involves having voice commands built-in that allow you to search for content or control the TV. LG will partner with Google to integrate Google Assistant, a modern DOS prompt for voice commands. It will work only in a few languages at launch but Google has announced that support for more languages is coming later this year. The TVs are still based on the webOS platform that has reached version 4.0. There are small tweaks here and there but the big story is Google Assistant. LG has not announced plans to update previous models to webOS 4.0. You can access Amazon, Netflix, HBO, YouTube, and other services via apps. Several of these services deliver content in 4K HDR. 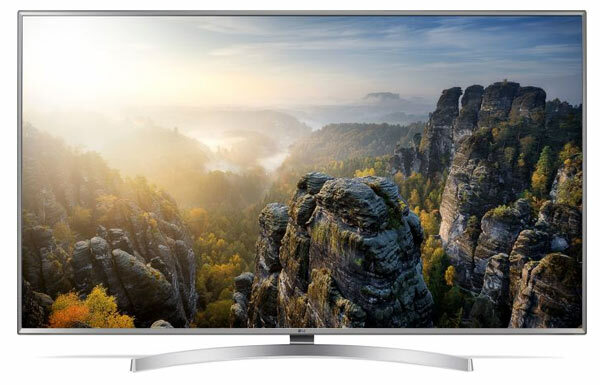 The TVs also come with the usual suite of features, including a twin tuner for some of the European OLED models, the motion-enabled Magic Remote, WiFi, and more. LG will obviously also launch a full range of mid-range TVs that will be based on LCD technology. Many of these will feature the RGBW pixel pattern that cannot reproduce full 4K resolution for all color patterns but these are nevertheless marketed as 4K TVs. Check the comparison table below. 3D is still dead. 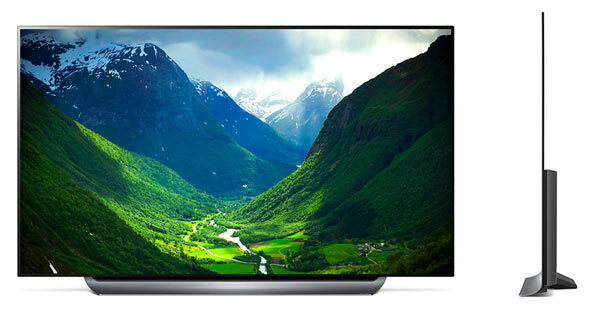 LG has no plans to resurrect the format in its OLED TVs despite the many requests and petitions out there. The company has also completely abandoned the fad that was curved TVs. Samsung is the only remaining company to push curved TVs. You can tell 2018 OLED TVs apart from previous years’ models by the number 8 in the model name (i.e. B8, C8): 8 = 2018, 7 = 2017, 6 = 2016. You can tell the LCD models apart by the designation “SK” or “UK” in the model name: SK / UK = 2018, SJ / UJ = 2017, UH = 2016, UF = 2015, UB = 2014. LG W8 succeeds last year’s W7 and continues the “wallpaper” line of incredibly thin OLED TVs that stick to the wall with magnets. 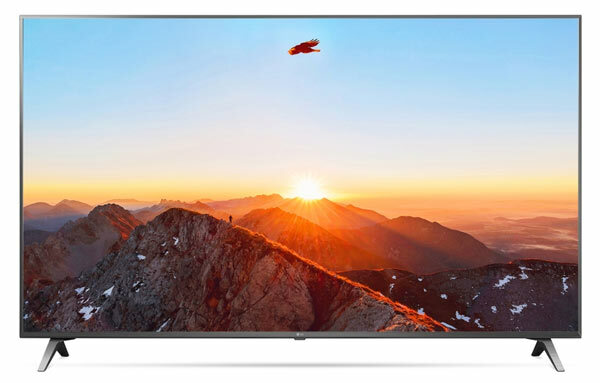 It is one of the most unique TVs on the market and packed with LG’s latest technology. 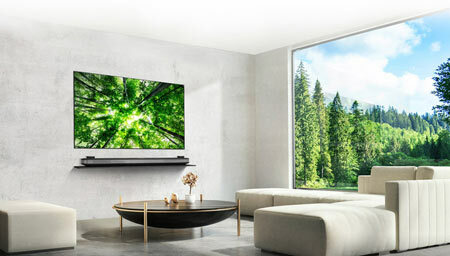 The G8 OLED is based LG’s wallpaper OLED panel but replaces the external soundbar with an integrated soundbase. It will be available only in select regions. 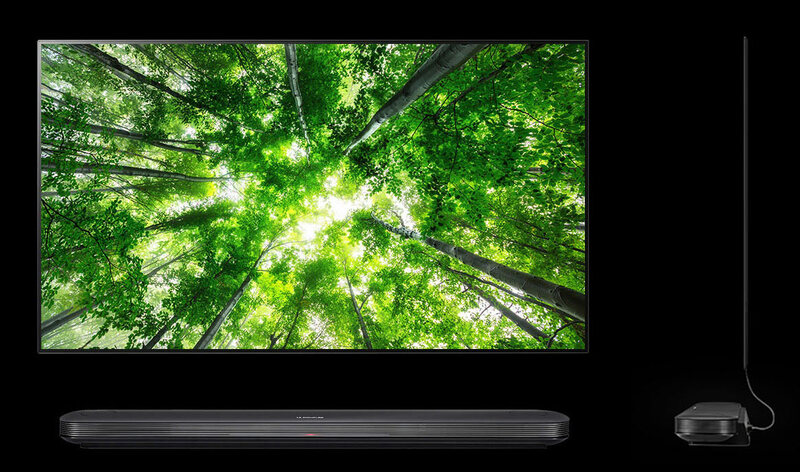 LG E8 has a “picture on glass” design with a discreet built-in soundbar. 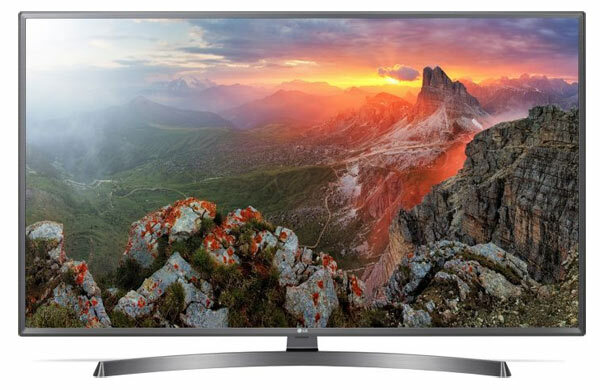 LG C8 is the most affordable 2018 OLED model with the powerful Alpha 9 video processor. 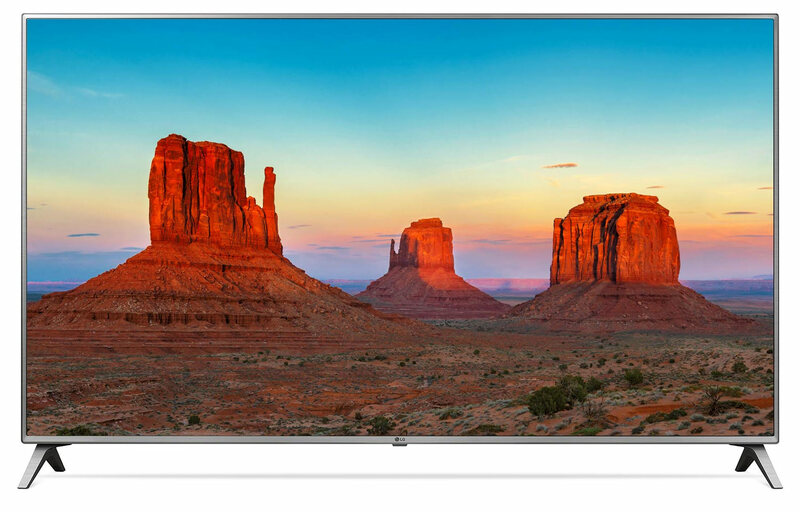 C8 will also be available in a 77-inch size that will be considerably cheaper than previous 77-inch OLED TVs. LG B8 will feature a less powerful Alpha 7 video processor. It will still support High Frame Rate (120/100fps) but not in 4K HDR quality. 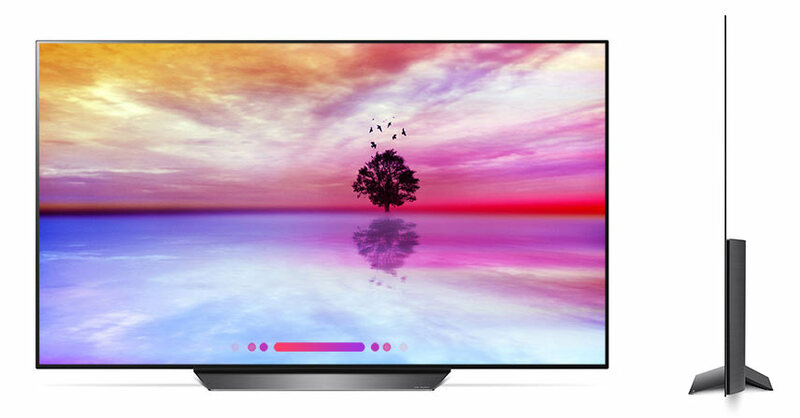 SK9500 is LG’s flagship LCD TV for 2018. It will feature full array local dimming for improved contrast as well as “Nano Cell” technology. 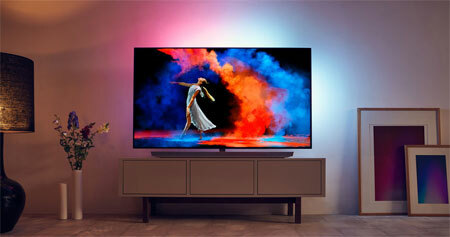 LG SK9000 in the US and LG SK8500 in Europe will feature a less advanced full array local dimming system. It still features the Alpha 7 video processor. LG SK8000 will be the most affordable 2018 model in LG’s “Super UHD” line-up. The SK8100 is the same TV with a different design and more powerful speakers. LG UK75 is a mid-range LCD model and LG’s most affordable with the Nano Cell filter that is supposed to improve contrast. LG UK69 now longer features the Nano Cell filter. It a more basic 4K TV. Another mid-range LCD model with a metal design. It still offers most of the smart features. 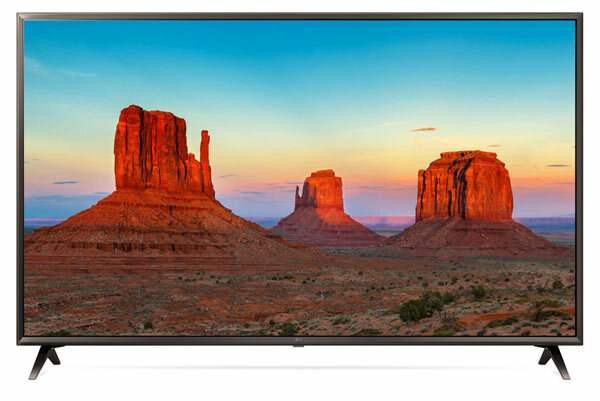 UK6500 features 4K resolution and built-in smart features. It will be available in up to 86-inches. 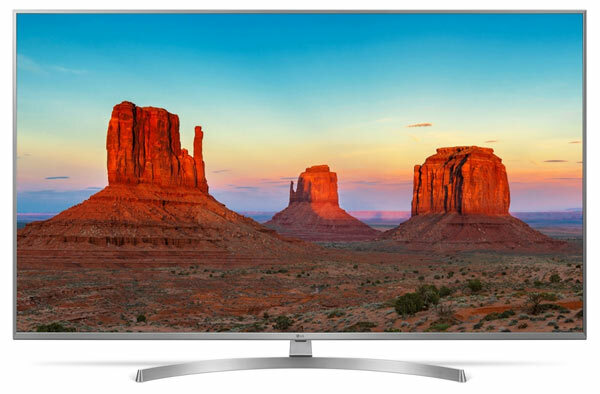 UK6400 will be available in Europe with basic 4K features. 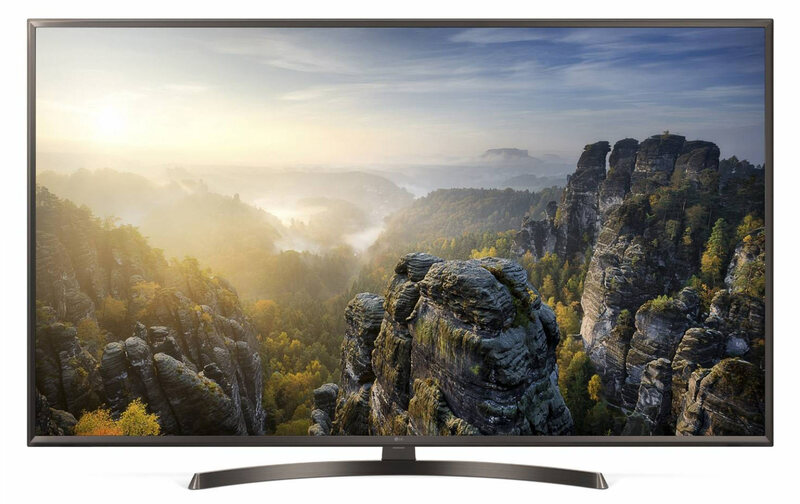 UK63 is yet another mid-range 4K model that will be available in the US and Europe.